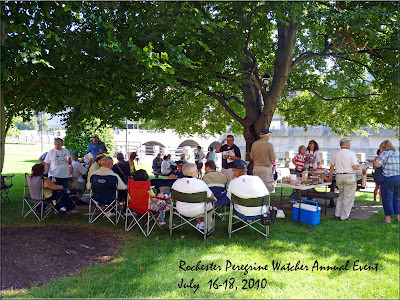 ~Peregrine Place~: ~Great Rochester Event! 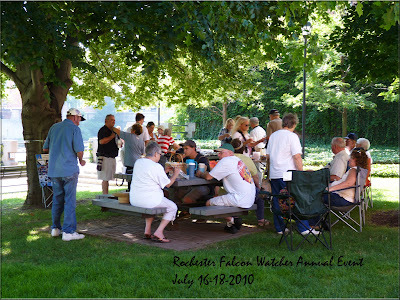 We met many of the fantastic Rochester falcon-watchers this weekend at the Saturday breakfast in the park. 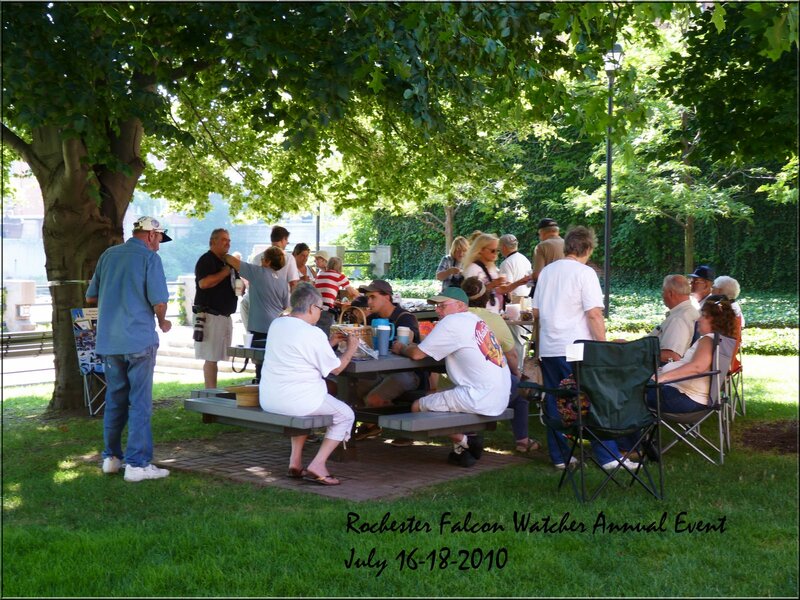 More watchers arrived after these pictures were taken. I wish they would all move to Buffalo! Callidora was spotted bringing her breakfast to the event which she ate from a building next to the park! Later, two pefas were seen flying overhead before they disappeared behind the buildings. We hope Callidora's brother Jemison can soon join her and give the dedicated falcon watchers a wonderful treat!